Home › Patented Side Sleeping Knee Pillow Rophi Cushion (Patent Number 2433103), Trialed by UCLAN and Proven to Reduce Back Pain, Leg Sciatica Relief and Help a Slipped Disc. Attached Leg Stocking Means it Won't Move During Sleep. Twenty years ago, Robert Lloyd had a terrible accident resultiing in several herniated discs and horrific, life changing back pain that no amount of orthopedic or chiropratic treatment could help. Robert's back pain symptoms were unbearable and his health and general well being deteriorated with this crippling, spinal disc injury. Robert was simply a broken man, unable to work and unable to function the way he once could. One night Robert experienced a dream that simply changed his entire life and the vision born from that dream, set Robert on an enlightining journey of discovery which led to the creation of the Rophi Cushion. In his dream, Robert visualised himself wearing a stocking clad cushion between his knees as he slept in the fetal position. In the dream, Robert awoke and found that his back pain had gone. For two nights, Robert had the same dream and with his mind alive with the vision before him, he commenced with research, development and many clinical trials over 20 years to develop the Rophi cushion into the product it is today. And true to the dream, Robert wore his product with fascinating and undeniable results. This is an image of Robert just after he set out inventing the Rophi Cushion. 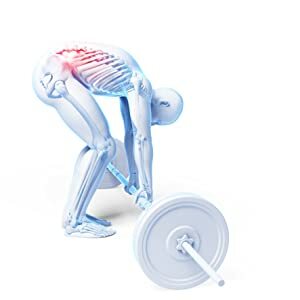 At this stage, Robert was so determined to bring this marvellous creation to life, he worked tirelessly with medical professionals to test, develop and redefine each model based on authentic data from real people who were suffering from daily back pain problems. Robert, through trials and research, soon discovered that conventional approaches to back pain did little more than to mask the problem. Even worse than masking the problem was that poorly educated medical practitioners offered pain killing drugs to mask the problem. Robert discovered that pain killers are very bad for health. This realisation spurred him on even further as the issue went far deeper than the initial back pain problem. The shape and structure of the spine is the key to our ability to stand upright. It has a greater muscle, joint, bone, nerve and ligament concentration than any other part of the body. Because of this it is highly susceptible to injury. It is also the most difficult area of the body to treat or repair. Back pain repair should start as we sleep. This is clinically proven to occur when lying in the semi-foetal position. When worn, the Rophi Cushion naturally aligns the spine into the correct position to support the healing process. For two thirds of the day your spine is active. The discs compress and lose their fluid which help lubricate the spine. The lower discs carry more weight and therefore lose more fluid than those higher up. The lumbar region is more at risk to injury than the upper areas. At night, we lie down and take the weight off our spine and the discs are able to recover. 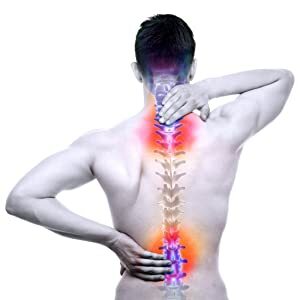 However if the back has suffered an injury, any further pressure or strain will prevent the discs from recovering. Approved by the NHS Business Services Authority, the Rophi Cushion is the ideal natural solution. Studies show that lower back pain in pregnancyusually occurs between the fifth and seventh month of being pregnant. In some cases, pregnancy pain in the lower back can begin as early as 8 to 12 weeks after becoming pregnant. The Rophi Cushion supports the back whilst sleeping so that the development of pregnancy back pain is greatly reduced. There is an alarming and growing trend of workers who suffer from back pain at work. Modern jobs are challenging the way in which we stand or sit whilst working. Whether it is manual or office type work, your back is at risk. The Rophi Cushion helps prevent injury before it happens. Any type of sport can put stresses on the spine and lumbar region. Sports enthusiasts often complain about back pain, which results in declining performance and long term injury. The Rophi Cushion helps heal injury as you rest.